10 out of 10 of your furry friends agree! 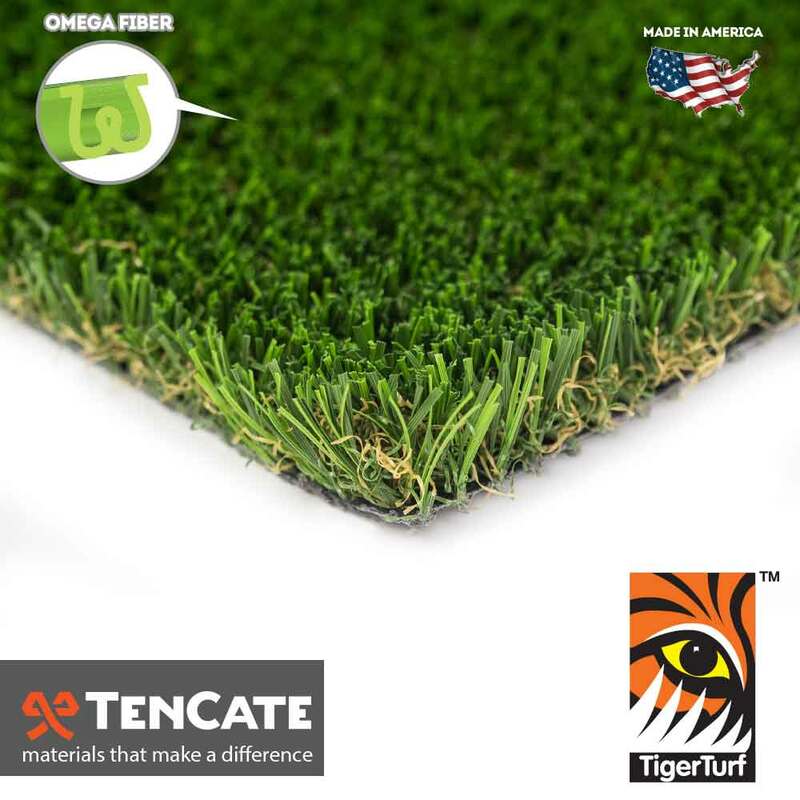 TigerTurf Pet Turf is the perfect landscape solution for pets across North America! No more muddy paws, insects, brown patches or digging holes! Pet Turf features beautiful field and lime green grass blade color tones in addition to a brown thatch layer. This turf is extremely durable and is equipped with our proprietary turf backing where each grass blade is triple reinforced through tuft bind technology. Pet Turf backing is incredibly resistant to pull force, so let your pup play all day! The one inch pile height is a perfect cushion for your four-legged friends! Pet Turf is non-toxic and safe for animals and children. In addition to it’s amazing durability, Pet Turf also features a perforated backing so liquids can easily drain through! Pet Turf is equipped with U.V. inhibitors during the manufacturing process, so no matter how long your turf is out in the elements, it will never fade! Backed by our 15 year warranty, Pet Turf is sure to last you and your furry friends for years to come! You and your pet deserve nothing but the best synthetic grass landscape for pets!